In the world of sales, there's nothing more powerful than the "know/like/trust" factor. The more your prospects know, like, and trust you - the more stress-free your sales become. In the online space, there's no better way to build this factor than through content marketing. When your audience sees you putting out relevant & helpful content, you become their trusted advisor on the subject. And who better to buy from than someone you trust? The only problem in all of this is the huge time investment it takes to write this quality content. That's why we created our Content Creation Service - so we can take all that work off your hands, while you're still reaping all the benefits. 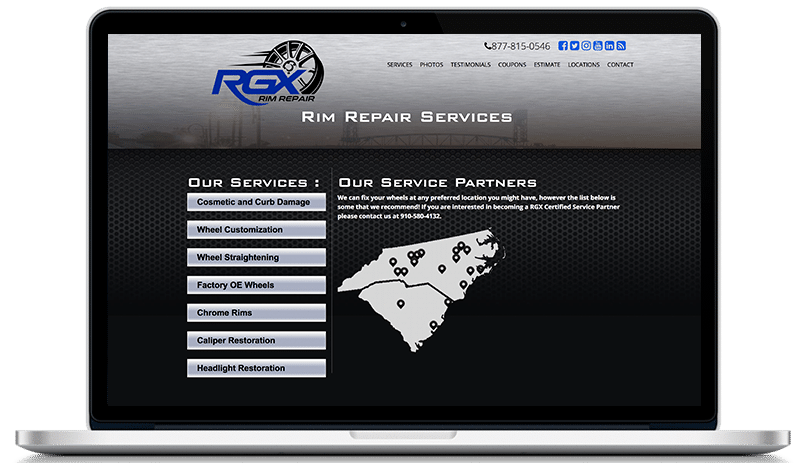 Goal: To provide a comprehensive Digital Marketing Program that would raise the RGXRims website to Page 1 of the search engine results and generate new sales qualified leads.